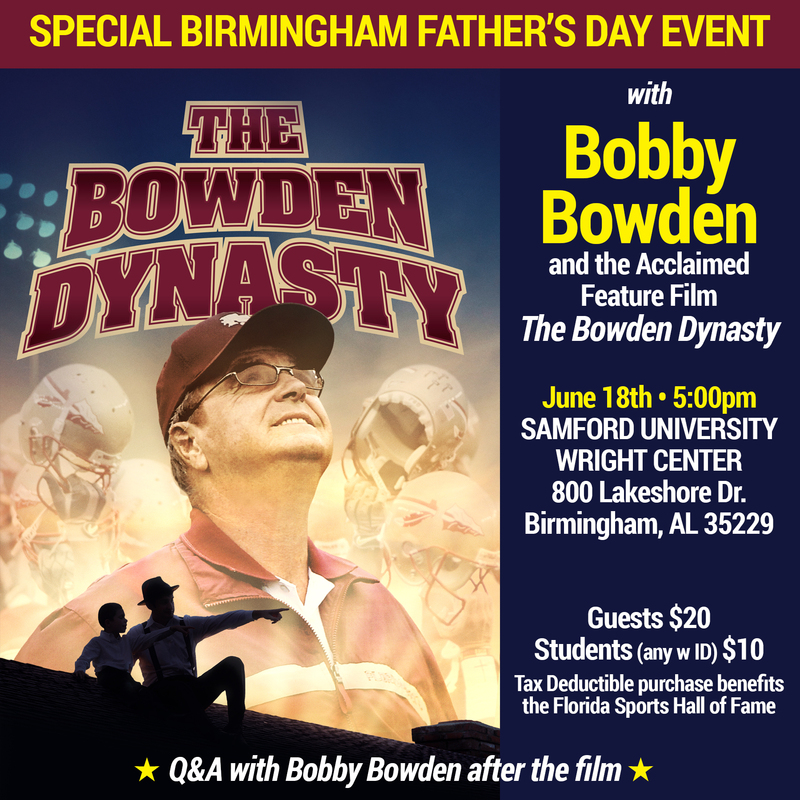 Samford University’s Wright Center will host the Bowden Dynasty 2017 Tour June 18 at 5 p.m. The evening will feature a question-and-answer session with Bobby Bowden after the movie The Bowden Dynasty from veteran TV and film Producer John Corry, along with Rob Harvell and Brian Goodwin. Bobby Bowden has a longstanding history with Samford as a former student athlete, 1953 graduate, head football coach and most recently as an inaugural inductee into the Samford Athletics Hall of Fame. At Samford, he played football and baseball, and ran track. He started his head coaching career at Samford during 1954–55 and ended his career at Florida State University. His son Terry was Samford’s head coach from 1987 to 1992. This feature-length documentary film explores the life and times of Bobby Bowden, the coach with a team of loyal assistants and players who fought against all odds and countless obstacles to forge one of the greatest achievements in the history of sports. From 1987 to 2000, the Florida State Seminoles won the hearts of America and thrilled their fans with 14 consecutive 10-win, top-five seasons.